We need to be honest with others and ourselves – and face reality. The marine resources surrounding Hawai‘i are on a decline – and have been for quite some time. If we do not change the way we use our nearshore reefs, fisheries and marine resources, there is no reason to expect the decline to stop. There are many threats and impacts to the marine resources, including: Invasive Species, Sedimentation and Run-off, Pollution and Nutrients, Marine Debris, Recreational Use, Coastal Development, Weather (i.e. hurricanes, global warming, etc) and Fishing. 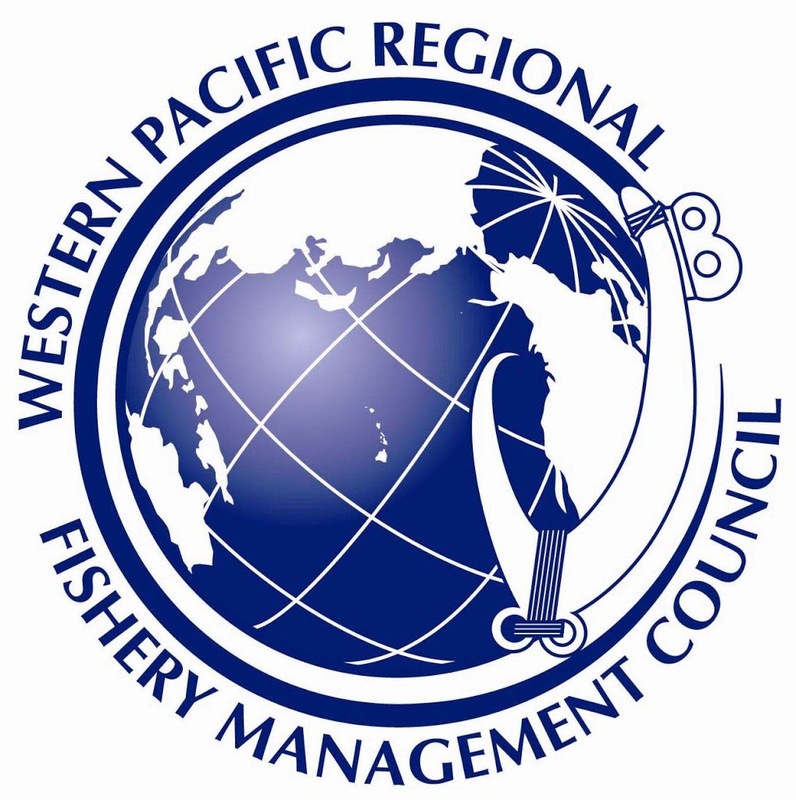 The Western Pacific Regional Fisheries Management Council (WESPAC – one of eight regional fishery management councils) is composed of 16-members members and is the policy-making organization for the management of fisheries in the exclusive economic zone (EEZ – generally 3- to 200-miles offshore) of member US interests. The first National Standard states that any fishery management plan, its rules, and conservation and management measures shall prevent overfishing. The eight Regional Councils develop management plans for marine fisheries in waters seaward of state waters of their individual regions. Management includes areas around the State of Hawai‘i, Territory of American Samoa, Territory of Guam, Commonwealth of the Northern Mariana Islands and US Pacific island possessions, an area of nearly 1.5 million square miles. Plans and specific management measures (such as fishing seasons, quotas and closed areas) are developed. These plans and measures are implemented by the National Marine Fisheries Service. I am very concerned about purported “management” of our marine resources – particularly, the stated goal of “sustainable fishery management plans” that have proven to be insufficient to sustain the fisheries. Obviously, we need to do things differently. The decline in marine resources has an enormous impact on local, subsistence and recreational fishermen, and coastal fishing communities statewide. It was interesting to see how fisheries management measures are complicated by unrelated treaties and relationships between the countries. The good news is there are attempts to resolve the differences. Likewise, I was honored to serve as a member of WESPAC – initially, as a representative for the State of Hawai‘i, then, a term as an at-large member on the Council. However, I was mostly frustrated while serving on WESPAC – too often, it looked like decisions were made for the benefit of short-term fish harvesting, rather than long-term fisheries sustainability. I hope in the future WESPAC more-fully addresses its obligations and opportunities to prevent overfishing and protect the resources for future generations. We all need to work together to protect the resources – resource managers, fishers, environmentalists, scientists and community. But we’ve got to face reality and do things differently – for the resources – otherwise, there won’t be Fish for the Future. How about starting with what Fisheries Councils are set up to do … let’s look at the federal law. WESPAC is one of eight regional fishery management councils established by the Magnuson-Stevens Fishery Conservation and Management Act. The Regional Council system was designed to allow regional, participatory governance by knowledgeable people with a stake in fishery management. The Western Pacific Regional Fisheries Management Council (WESPAC) is composed of 16-members members and is the policy-making organization for the management of fisheries in the exclusive economic zone (EEZ – generally 3- to 200-miles offshore) of member US interests. Obviously, this hasn’t been working and we need to do things differently. I was honored to serve as a member of WESPAC – initially, as a representative for the State of Hawai‘i, then, a term as an at-large member on the Council. However, I was mostly frustrated while serving – too often, it looked like decisions were made for the benefit of short-term fish harvesting, rather than long-term fisheries sustainability.